Metal stamping is a process that uses dies to transform flat metal sheets into shapes. In the most basic sense, it’s an operation where metal is cut with a component. Stamping can be performed both as a progressive operation or with a stage tool. Metal stamping is used to produce parts for large machinery or can be molded into shapes for household items. Punch presses are used to cut holes in material. It’s easy to remember if you think about how they “punch” holes through sheet metal. Punch presses vary from smaller, manually operated machines to very large, CNC operated machines capable of holding larger, more complex die sets. A punch press can be used to either blank or pierce. A turret press, also known as a turret punch, is a type of punch press that uses a large number of standard punch tools. Turret presses make it possible to make a wide variety of parts without needing to make a specialized tool. The versatility of turret presses allows manufacturers to perform rapid prototyping and low-volume production without the wait associated with designing and building a tool. 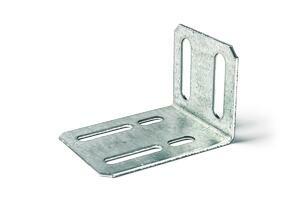 While the punch press is for cutting holes in material, a brake press is for bending material. Brake presses clamp onto a piece of sheet metal and apply pressure until the desired bend is achieved. There are several types of brake presses, including mechanical, hydraulic, and pneumatic. Each applies pressure differently in order to bend material. Laser cutting can be used for a stamping operation as long as the component gets formed after the laser cutting. It’s a bit of a grey area, but I figured it was worth mentioning. Especially since it’s just another way to make a blank profiled to different dimensions without needing an expensive tool. 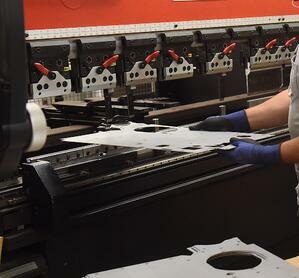 Metal stamping equipment makes it possible to produce sheet metal components in large volumes. And while they make it possible to create parts and components of all different shapes and sizes for many types of industry, these basic operations create many final products.